Does anyone know DIV2 aka GameMaker Pro/2000? It's a completly graphical IDE for DOS games. I bought it 1999 but never used it. The language is PASCAL like and very easy. There are build in function for most common things like moving a sprite into a direction, change palette, fading in/out screen, mode7 and stuff like that. You can do 2D but also simple 3D games. 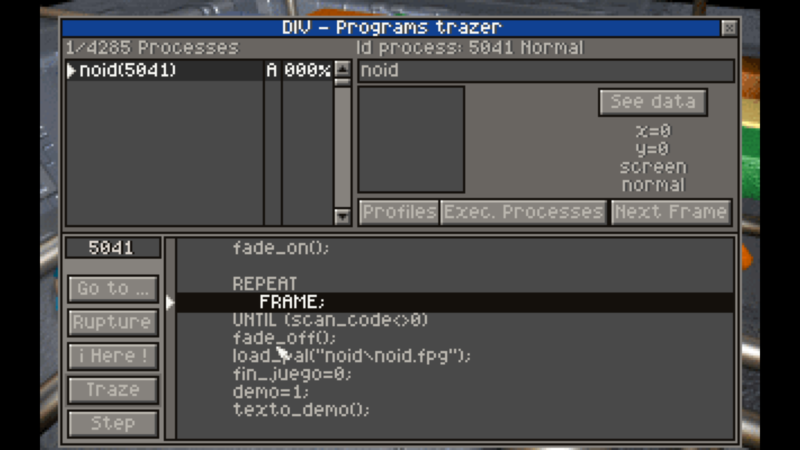 You can edit images, sounds and maps inside the IDE, it has a visual DEBUGGER and you can also create a full graphical setup program for your finished game. Very comfortable. 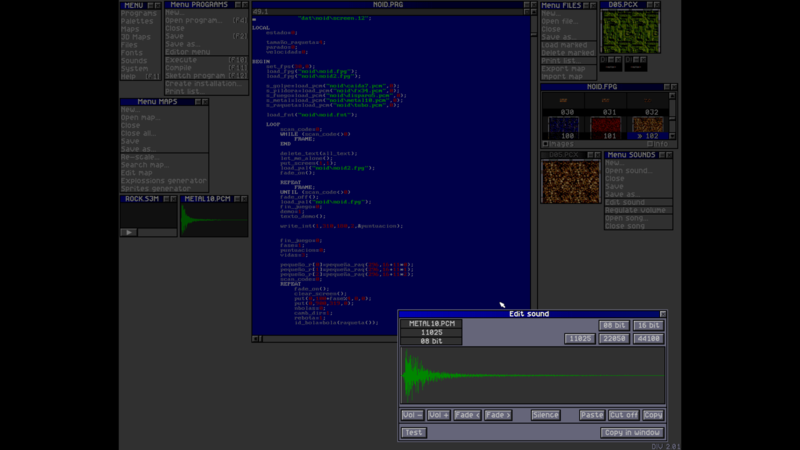 Here are some screens of the IDE and DEBUGGER of an included Arkanoid sample game. I still wonder how modern it was. It also loads JPG files and you can play VIDEOS. Never heard of it, but it looks mighty interesting! If anyone is tempted to try it (I sure am), I've found DIV Games Studio at archive.org (ISO image).